Virgo in 2019, may witness both good and bad experiences, but do not worry as you can always hold on to the good ones, and learn something from the bad ones, says Ganesha. You will see a positive result in your professional career from the starting of 2019 till the month of April. You may get a good hike in your salary and businessmen will also receive monetary gains, as is indicated in your career horoscope 2019 for Virgo. You will feel that you are physically fit and also ready to do some long distance travelling. All the problems pertaining to your ancestral property will also find its way out and get disentangled. You are very sensible and analytical in your approach towards most of the things in life, which makes you overcome a lot of challenges and be successful. In spite of having a weak and a less determined mindset, you usually take very precise decisions which are always helpful, according to Virgo horoscope 2019. It is advised to be alert in your profession between 10th April and 11th August. As far as your relationship with everyone is concerned, things will be pretty sorted and in tune, till the month of April, but you may see constraints in your relationship between the months of May and September. You may have arguments and quarrels with your close ones, which you should totally avoid. This phase of time, is also not good in terms of your monetary matters, so keep away from any financial involvement as well, as is indicated in your Virgo 2019 predictions. The time period between September and December will give you a lot of opportunities to grow and learn, as per your Virgo 2019 horoscope, but there are other things that may try to pull you down and make you dissatisfied. Financial hurdles is one of the issues that you are likely to face on a personal level. A lot of students may face problems with their studies, where they either may not be able to score well, in spite of working hard or, concentrate efficiently while studying. On the professional front, work will keep you a lot busier than usual, between the 23rd of March till the year end. You may feel spiritually inclined because of the effect of Ketu in the Sagittarius sign. Also, have good control over your temper as it will effect you negatively and taking very good care of your health between May till July is also necessary, according to the prediction in your Virgo horoscope 2019. 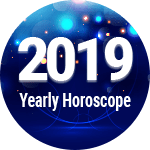 Virgo Horoscope 2019 Overall rating: 4.3 out of 55 based on 1269 reviews.